Looking for the best business magazine? 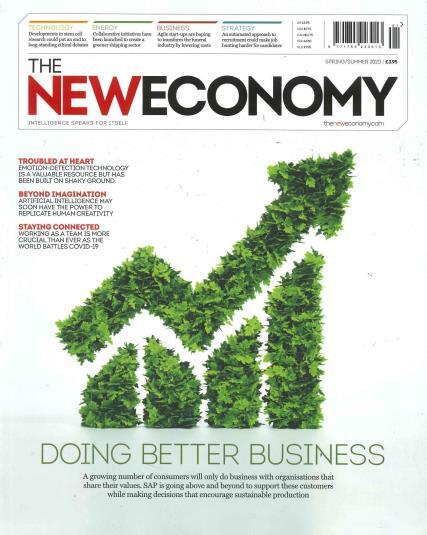 The New Economy, the leading business magazine of the United Kingdom is now better than ever. Loaded with all the information you need and you want, this magazine speaks for itself. The magazine comes out once every 3 months, making it 4 issues annually, loaded with the best business information. It is an interesting amalgamation of business, finance and management news. It carries informative articles and analysis about banking and finance and how it is and will be affecting the economies and the world. The New Economy magazine is an intelligent read if you are looking for sharp, crisp and smart analysis and news that matters. The magazine maintains the highest standards of journalism and knowledge. If you are looking for gossip and fun, the magazine may not be for you. The magazine is highly informative, interesting and knowledgeable. It contains important issues with a serious outcome which will affect nations and economies all over the world. If you are ready to handle the intellectual level of the magazine, subscribe today to The New Economy magazine today. Flip the pages and understand the way the world is working.